Monday's update suggested "SPX would probably look a little better with at least one more wave up..." which we got late in Monday's session, as SPX made a new high for this move. 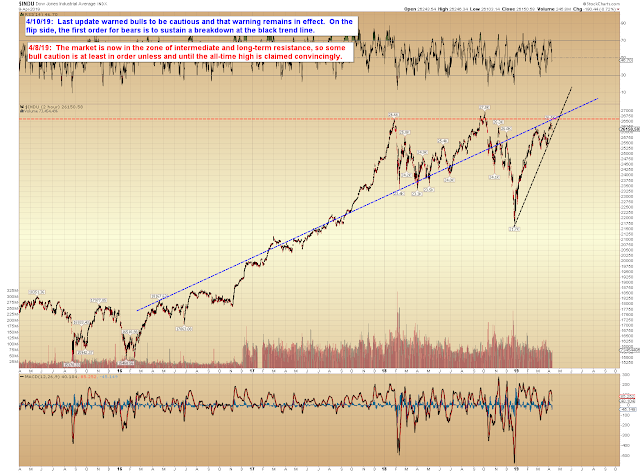 It then urged bull caution and warned that "we are at least getting into the zone where we could count five waves up." 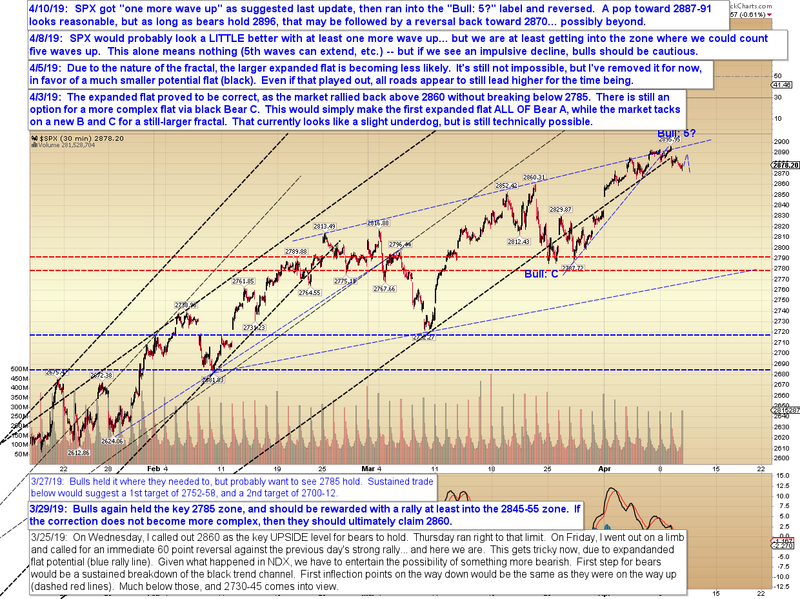 Tuesday then saw SPX head lower for the first time in 8 sessions. Is this the start of something more bearish? Well, it very well may be, but bears do need to hold 2896 heading forward, so today will be the first test to see if they're serious. 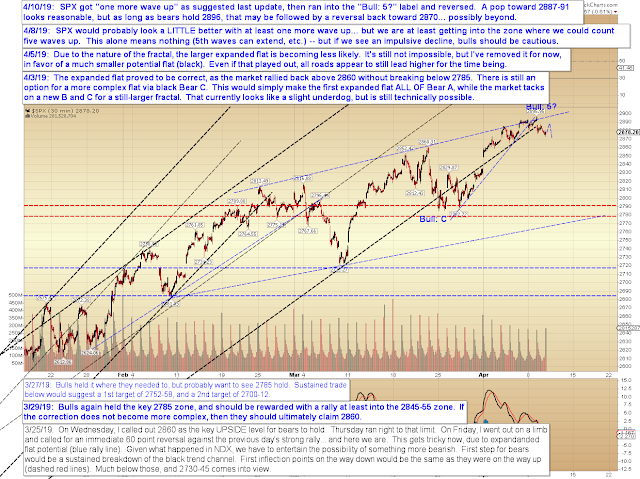 In conclusion, Tuesday's decline appears impulsive, which suggests another wave down of equal or longer length. However, this is not the best setup because the top isn't clean -- thus I can't entirely rule out the possibility that the impulsive decline is wave C of a micro expanded flat, and it's important for bears to hold the recent high. Trade safe.